New Kuryakyn Adjustable Fairing Air Deflectors offer a step up in style and versatility compared to the fixed factory units on Road Glides®. 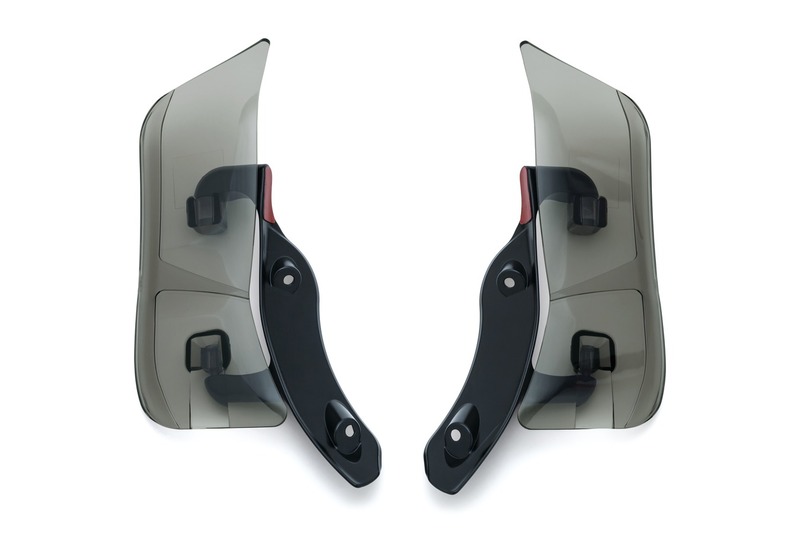 The sleek variable deflectors are easy to operate and securely lock into place in four positions, channeling airflow toward or around the rider for improved comfort in the saddle. The shatterproof polycarbonate deflectors feature a stylish dark smoke tint and contoured profile with larger surface area than stock. 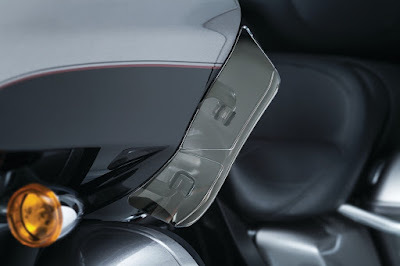 Discreet satin black aluminum brackets mount to existing holes in the fairing for a hassle-free install on all ’15-’17 Harley-Davidson® Road Glide and Road Glide Ultra models.